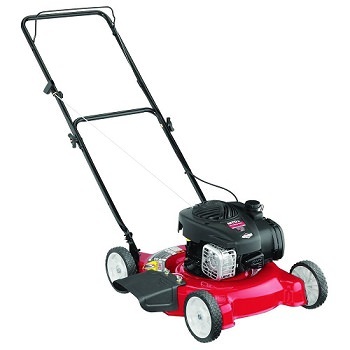 The MTD series lawn mowers are 4 cycle and do not use 2 cycle mix. For best operating results, it is suggested that you use a high octane gas such as 92 or higher. 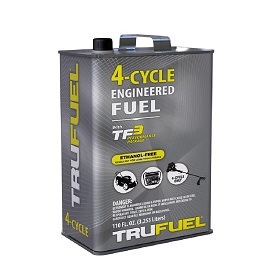 If you keep you gas longer than 30 days, you should add Sta-Bil to the gas to keep it fresh.You can also keep it simple and just use the Tru-Fuel for 4 cycle engines. 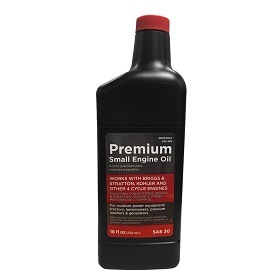 Check the oil before you start the lawnmower. 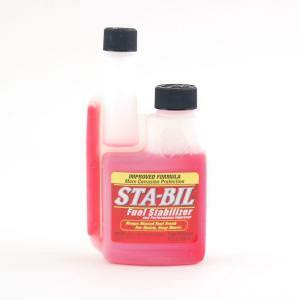 If oil is needed, you can use a 30w 4-Cycle Small Engine Oil in temperatures above 40 F. You can also use the 10w-30, but it may result in more oil consumption. 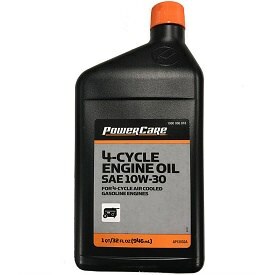 Just to be safe, change oil after 6 hours of operation, than about every 3 months after that. The more you change the oil, the longer the engine will last as there is no oil filter in this lawnmower. Below is the link for the MTD 02B Manual.